Wolves have become a complicated comeback story. Their tracks are once again making trails throughout western Alberta, southern British Columbia and the northwestern United States, and the lonesome howls of the legendary predator are no longer mere echoes from our frontier past: they are prophetic voices emerging from the hills of our contemporary reality. Kevin Van Tighem’s first RMB Manifesto explores the history of wolf eradication in western North America and the species’ recent return to the places where humans live and play. Rich with personal anecdotes and the stories of individual wolves whose fates reflect the complexity of our relationship with these animals, The Homeward Wolf neither romanticizes nor demonizes this wide-ranging carnivore with whom we once again share our Western spaces. Instead, it argues that wolves are coming back to stay, that conflicts will continue to arise and that we will need to find new ways to manage our relationship with this formidable predator in our ever-changing world. 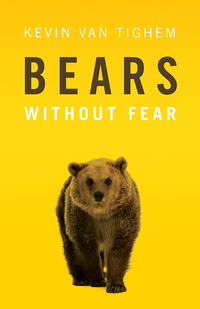 Whether they fear wolves or love them, readers will find this book as challenging as it is enlightening. 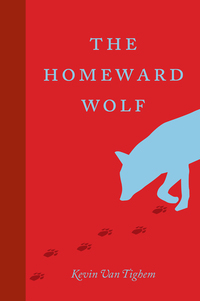 The author offers a powerful argument that how we choose to live with the homeward wolf will bring out the best in us... or the worst. In the end, the return of the wolf may ultimately help us find our own ways into a deeper, more sustainable relationship with the great Western landscapes that enrich and define us. Kevin Van Tighem, a former superintendent at Banff National Park, has written more than 200 articles, stories and essays on conservation and wildlife which have garnered him many awards, including Western Magazine Awards, Outdoor Writers of Canada book and magazine awards and the Journey Award for Fiction. He is the author of Bears Without Fear (RMB 2013), The Homeward Wolf (RMB 2013) and Heart Waters: Sources of the Bow River (RMB 2015) and <i>Our Place: Changing the Nature of Alberta (RMB 2017). He lives with his wife, Gail, in Canmore, Alberta.